Now available!! 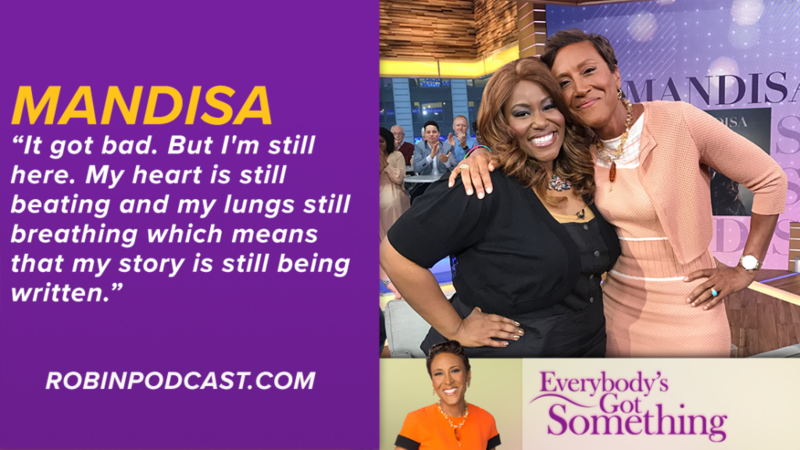 Mandisa’s episode of the Robin Roberts podcast “Everybody’s Got Something” debuted today. Listen in on their in-depth conversation via Apple Podcasts, ESPN, Google Play, or Spotify.